He's been around the world more times than he can count, has dealt with water issues in more than 70 countries, and will be at the University of New Brunswick on September 19 and 20 to share his insights on water security. 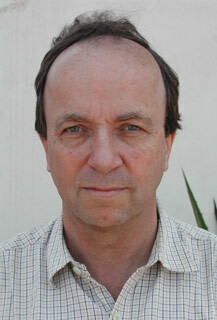 David Grey, visiting professor of water policy at Oxford University, will deliver his talk, "Sink or Swim? Chasing Water Security in Changing Climates," on Wednesday, September 19 at the Ganong Hall Lecture Theatre, UNB Saint John, and on Thursday, September 20 at the Wu Conference Centre, UNB Fredericton. Both events start at 7:30 p.m. Admission is free and the public is invited to attend. Achieving basic water security - ensuring tolerable water-related risks to society by both harnessing the productive potential of water and limiting its destructive impacts - has been a constant struggle since the origins of human society. Rapid change in the 21st century - in populations, economies, geopolitics and, significantly, climate - will make achieving water security by countries that are currently water-insecure much more difficult, and could threaten the water security of long-secure nations. Countries around the world will have to find ways to avoid conflict and embrace cooperation - often more easily said than done. As global society chases water security in rapidly changing climates, Dr. Grey tries to answer the question, how do we ensure that ‘we swim and do not sink’? David Grey is visiting professor of water policy at Oxford University and an honorary visiting professor at Exeter University in the UK. He is a member of the World Economic Forum’s Global Agenda Council on Water Security. He was World Bank staff from 1983 to 2009 and its senior water advisor from 2003, with oversight responsibility for the Bank’s global water agenda. He is a practitioner with nearly 40 years of experience working on water-related issues (and living) in many countries in Africa, the Americas, Asia, Europe and the Middle East. In addition to developing inter-disciplinary water security research networks and a teaching agenda at universities, he is engaged in water issues around the world, in particular supporting and facilitating cooperation on major international river basins in Africa, Asia and the Middle East. Dr. Grey's visit to New Brunswick is part of the 2012 Year of Water speaker series sponsored by the Andrews Initiative, an academic program for adult learners at the University of New Brunswick. Upcoming events in the Year of Water include Water, an exhibition of photographs by Thaddeus Holownia at the UNB Art Centre, September 14 to October 22, in Fredericton; a talk by David McLaughlin, former president and CEO of the National Roundtable on the Environment and the Economy on October 11 in Fredericton; and the Hynes Memorial Lecture, featuring David Schindler, founder of the Environmental Lakes Area, on November 15 in Saint John.